“Rounded Flower Bed (Corbeille de fleurs)” (1876), Claude Monet. Claude Monet may have come from humble beginnings—his father wanted him to be a grocer—but he transformed himself into a legend, becoming one of the most influential artists of the modern era. He’s considered the founder of Impressionism, a 19th-century art style known for its open compositions, accurate depictions of light, and small but visible brushstrokes. The name “Impressionism” actually derives from a painting by Monet titled “Impression, soleil levant” (Impression, Sunrise). The style initially faced harsh criticisms, but eventually became revered for its fresh vision, colors, and movement. Today, you can see the impact of Impressionism all over the art world. Artists continue to build off Monet’s foundation, calling themselves Impressionists, Post-Impressionist, or whatever variation on Impressionism they think fits them best. To show how Monet’s legacy still resonates today, we asked five major contemporary artists to tell us how Monet influenced their art. They were kind enough to share their thoughts (and some of their art too!). 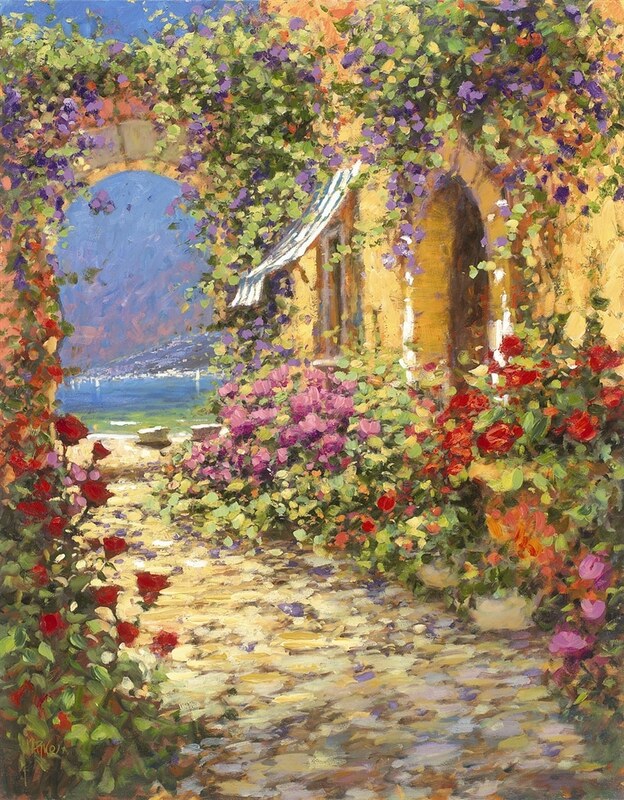 Marko Mavrovich paints in a style that harkens back to Monet. In fact, Mavrovich considers Monet to be one of his artistic heroes and actually traveled to the gardens that Monet personally designed to see what inspired the founder of Impressionism. However, when Mavrovich returned to his painting, he found he couldn’t emulate Monet. What he did discover was the emergence of his own style of Impressionism. 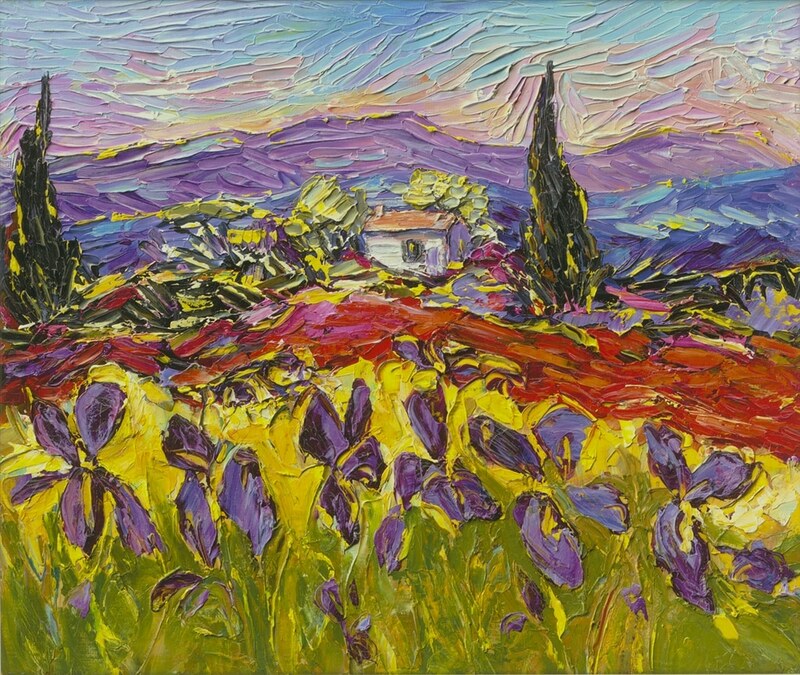 Mavrovich moved back to the United States in 1985 and was introduced to California Impressionism, a variant of Impressionism influenced by French and Post-Impressionism. What we see today on Mavrovich’s canvases is a blend of European and American Impressionism that is distinctly his own style. “You are inspired by it, you take what you can from it, then you take some of your talents, and you just incorporate it and fuse it together and make your own style,” he says. Israeli artist Yuval Wolfson paints subjects such as peacocks and vehicles with an analytic, Cubist approach. This may directly relate to Monet and Impressionism, but Wolfson’s breakout exhibition is what led him on the path to capturing the subtleties of change in his art. 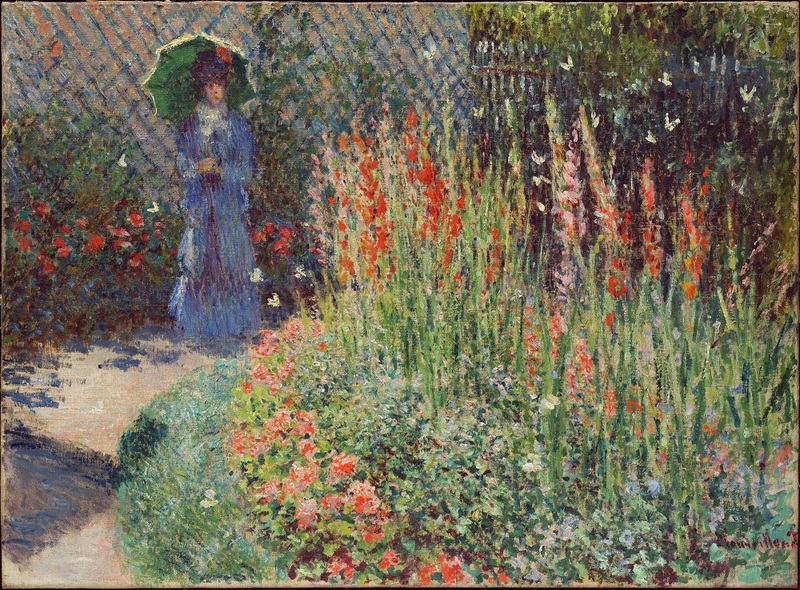 His first one-man exhibition, titled “Monet’s Garden,” featured 24 paintings that were variants of the same image. The colors of each painting differed slightly in accordance with the rising and setting sun, hour by hour. Wolfson continues using this theme of introspection to this day, evolving his characters and subjects matters as representations of reflection, relationships, and emotion. “I try not to be inspired by other artists, but sometimes you don’t have a choice. 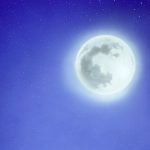 Sometimes it just seeps into you,” Wolfson says with a smile. 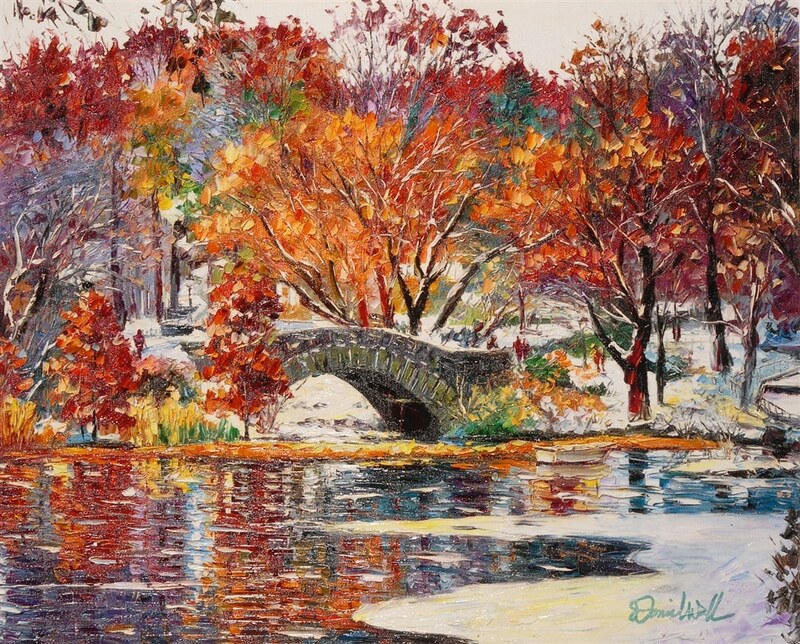 Sam Park is the creator of a style he calls “New Impressionism.” Park built upon the foundations of Impressionists like Monet to give his art a contemporary feel through texture, light, and fine detail with a palette knife. 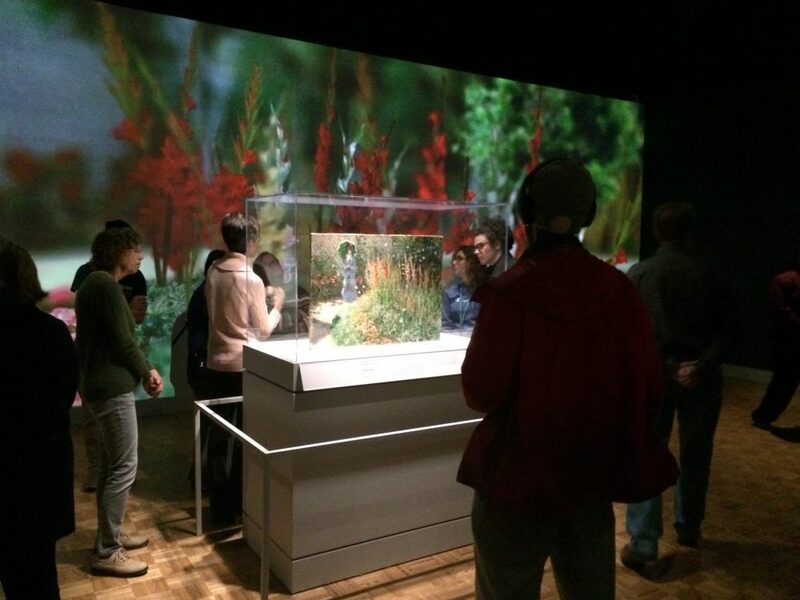 Park, like Monet, finds inspiration from nature and, in particular, gardening. He and his wife have brightened their home with gardens full of flowers such as roses and orchids. “Even in my studio in the upstairs on the balconies, I can see all around, and there are very different flowers to see,” he says. 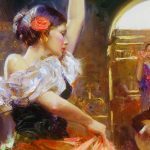 Like the other artists on this list, Daniel Wall also found inspiration from Impressionists such as Monet, Pissarro, Sisley, and Seurat. 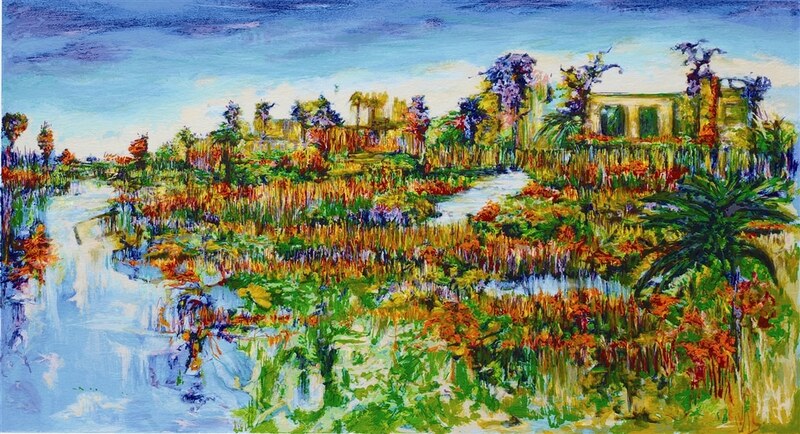 He says part of what formed the unique style he calls “Intense Impressionism” had to do with imitating Monet. With the palette knife, Wall found he could use it to smooth out surfaces, but also use it to apply thick patches of paint (known as impasto). Wall now exclusively uses bright colors and palette knives to create his art, achieving a colorful and bright aesthetic while imbuing each work with undeniable expression. Duaiv may have first been inspired to paint by Salvador Dali, but it was artists like Monet and Paul Cézanne that inspired his trademark style. He also pays homage to Vincent van Gogh in a number of his artworks. “I love Dali first, but then after that all of the Impressionists,” he says. Monet once said “Color is my day-long obsession, joy and torment.” Duaiv paints using palette knives and small brushes, only using a few colors to blend and create a rainbow of mesmerizing hues on canvas. To collect artwork by these and other amazing artists, contact our gallery consultants at (800) 521-9654 ext. 4 or at sales@parkwestgallery.com. 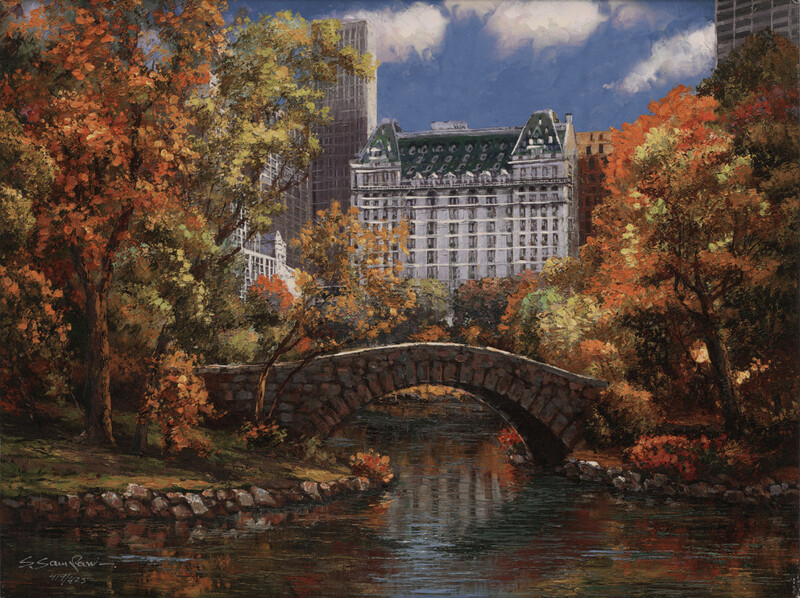 Park West Gallery has always been inspired by the work of Claude Monet. That’s why, in 2017, Park West and the Park West Foundation sponsored “Monet: Framing Life,” the first-ever Monet exhibit in the history of the Detroit Institute of Arts. “Framing Life” sought to place the creation of “Rounded Flower Bed” into context by placing it alongside 10 other paintings by Monet and Pierre-Auguste Renoir, which were all created during the same period in the 19th century.